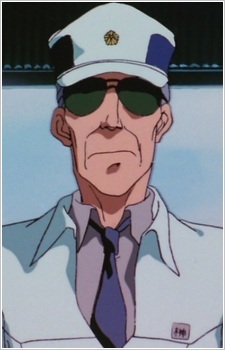 Sakaki is the head mechanic of the SV2. His training was was in mechanics, and he doesn't really understand the electronics and computers in the Labors. Even though he's only the head mechanic he only seems to order a lot of the other staff around, including members of Division 2, and not do any of the "grunt" work. A very respected member of the SV2 (though some would say feared rather than respected). He is also rarely seen without his dark glasses (he only took them off once in episode 46 of the TV series).